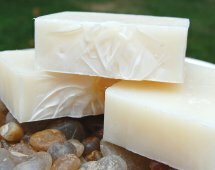 Palm free soap recipe requests are on the rise! 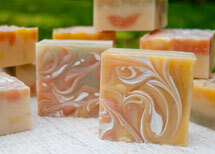 More and more soap makers are choosing to make handmade soap without using palm oil. In this way they are making a stand to try to help our environment by ensuring that they are not a part of the deforestation problem. Many of you may already know of the Round-table on Sustainable Palm Oil (RSPO), a group formed by palm farmers and users of palm products to help regulate the use of land for palm production and stop deforestation of the rainforest. Quite a few soap making suppliers purchase their palm oil from members of the RSPO and this too is helping with the problem. Be sure to ask your supplier if they purchase from a member before you buy. Of course, not everyone has faith in organizations like the RSPO. As with all organizations, there is bound to be deficiencies in the system since it is entirely impossible to satisfy everyone's needs. Personally, I'm just thankful that there are people out there that are at least trying to make a difference. I believe it is possible to have sustainable palm plantations but I also believe that part of the solution will have to come from us, the manufacturers and consumers. If everyone were to make a dedicated effort to use less palm oil and to find alternative options then the need for palm plantation expansion would no longer be an issue. 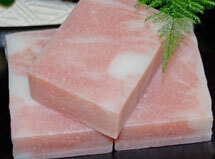 For this reason, you will find this page dedicated to palm free soap recipes. As you can see, I already have a few and you can expect to see more in the future. 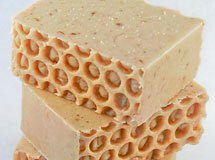 Each homemade soap recipe on my site produces approximately 10 - 110 to 150 gram bars. 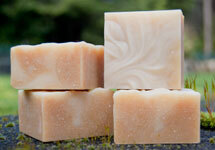 Made with Coconut Oil, Olive Oil, Castor Oil, Canola Oil, Sweet Almond Oil and Shea Butter. 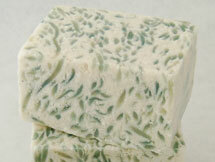 Made with Coconut Oil, Shea Butter, Olive Oil, Castor Oil and lots and lots of soap shreds! 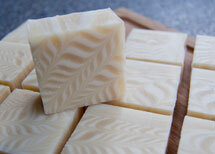 Made with Raw Cocoa Butter, Shea Butter, Coconut Oil, Olive Oil, Canola Oil and Yoghurt. 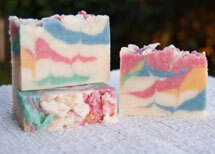 Made with Coconut Oil, Shea Butter, Canola Oil, Castor Oil and Olive Oil. 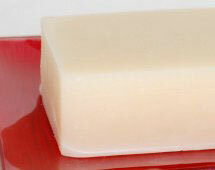 A hot process soap recipe using Shea butter, coconut oil, castor oil, olive oil, coconut milk and yoghurt. Made with Mango Butter, Shea Butter, Coconut Oil, Avocado Oil, Castor Oil and Olive Oil. Made with Coconut Oil, Shea Butter, Avocado Oil, Castor Oil, Olive Oil, and Silk. Made with Shea Butter, Coconut Oil, Infused Olive Oil, Castor Oil and Silk Peptide. Made with Shea Butter, Coconut Oil, Olive Oil, Castor Oil and Silk Peptide. Made with Cocoa Butter, Shea Butter, Coconut Oil, Castor Oil and Olive Oil. 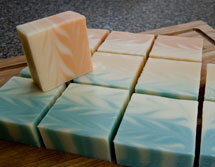 Made with Shea Butter, Camellia, Avocado, Castor, Coconut and Olive Oils. 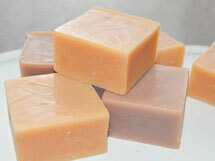 Made with Olive oil, Castor oil, Coconut oil, Grapeseed oil, Lard, Shea Butter, Cocoa Butter. Made with Coconut, Olive and Castor Oils. 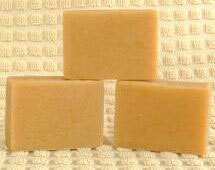 Made with Shea Butter, Coconut, Lard, Castor and Olive Oils. Made with Coconut oil, Grapeseed oil, Castor oil. Made with Avocado oil, Castor oil, Coconut oil, Shea Butter. 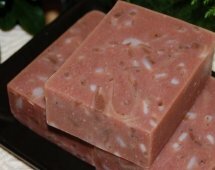 Made with Shea Butter, Olive Oil, Coconut Oil, Castor Oil and Lard.